An ongoing drop-in study of His Holiness the Dalai Lama's new series of texts on the stages of spiritual practice and contemplation, presented for a modern audience. 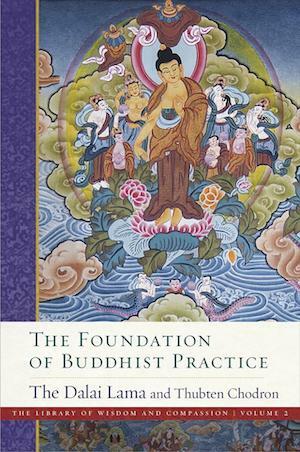 The Foundations of Buddhist Practice dives into foundational topics of Buddhist psychology, death and dying, setting up a meditation session, remembering impermanence, relating with a spiritual mentor, and a pretty thorough treatment on the view of karmic cause and effect. The book has the unique quality of giving both an overview and depth on each topic, which makes it valuable for newcomers and experienced students. It will be open to drop-in for any sessions, and books will be available to borrow or purchase. One does not need to have the book first to attend and check it out.